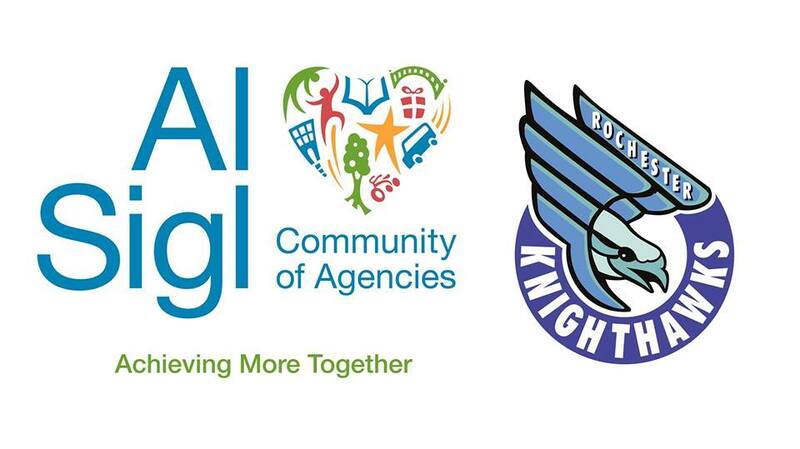 Come join us for a night with the Knighthawks as they take on the rival Buffalo Bandits on Friday, February 22nd to support Al Sigl Community of Agencies! With each $15 ticket you purchase, $5 will be donated back to Al Sigl! All funds raised will support the tens of thousands of children and adults with special needs right here in our community!